I remember back in the 1990’s when I attended overnight camp, Teva Sandals were more popular than Céline Birkenstocks are now. I went to the local store and purchased them, and where the legions of ugly shoes are small but notorious—Teva’s are the predecessor to the Crocs, Vibram Five Fingers, and Uggs, these rubber-soled ones were just a good-intentioned velcro sandal. I wore them for several months even into the school year, and although they were ugly as sin, there was nothing besides bare feet, that were more insanely comfortable. It wasn’t until all of that pond scum caused their porous rubber and flimsy Velcro to decompose—an annual end-of-summer occurrence that any Nineties child could recall with grotesque distinction — that I had to throw them out. But that was then, and now fast forward to Spring 2014, Prada, Rag & Bone, and Tibi are throwing in the towel and chiming in. Fancied by recreational hikers and dads on holiday, Teva has been relegated to the very end of the “practical versus pretty” spectrum. Until now, that is. Lower, flatter shoes make a comeback in recent years, with outdoors-y details and utilitarian styles looking nearly—dare we say—cute in recent seasons. Heck, even Chloë Sevigny has taken to Birkenstocks. For quite some time now, the fashion industry has been on a trickle down theory. 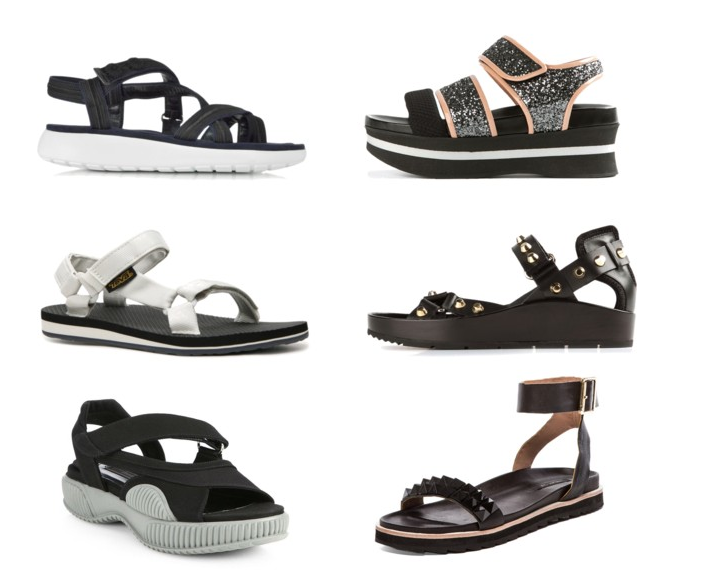 Think last season’s Birkenstock craze. Fast fashion is grabbing what they can from top designers and “interpreting” it for the mass market. Of course, one walk through Zara and H&M and it is still happening. Think #Normcore. Rag & Bone elevated rope-strap sandals onto a thick, black platform. 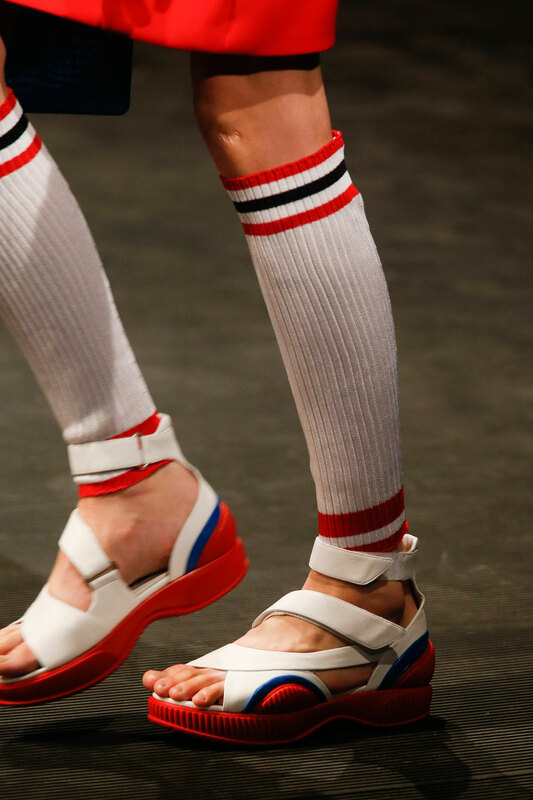 Hilfiger took his Tevas to the beach, fabricating Velcro-strap shoes in an array of sherbet colors. 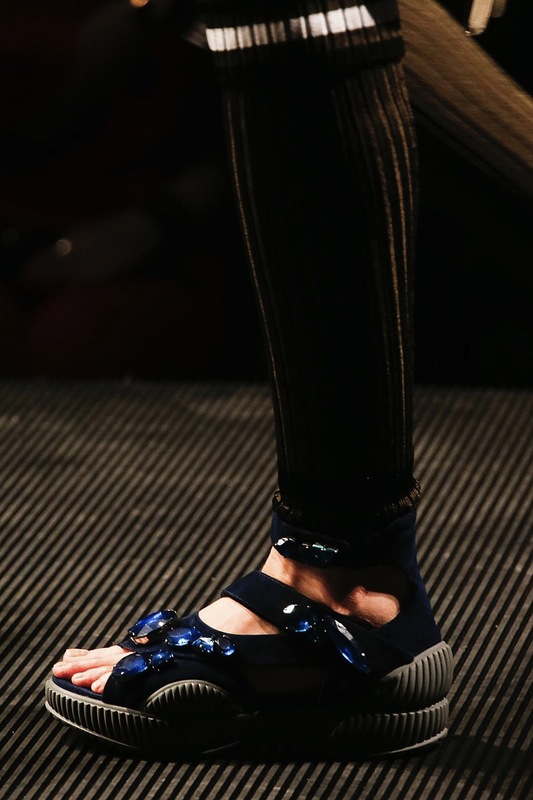 And Marc Jacobs, true to form, took a distinctively downtown approach to Teva’s reinvention: pairing black-satin strap sandals with a 1890’s take on dark fashion. Here is Marc Jacobs’s vision. There is no doubt that Tevas still have entered into the proverbial limelight. The ultimate purveyor of vomiting quick-trends, Urban Outfitters is selling these for $40, and they are flying out like hot cakes. And for my oh-so-amazing styling challenge series, I fashioned six pair that put the Teva to the test. You tell me, would you try these on for size? Happy hiking!